Not content with cornering the Microsoft Flight Sim crowd or angling for the fishing sim crowd, Dovetail Games are back with another announcement, this time for Train Simulator 2015. 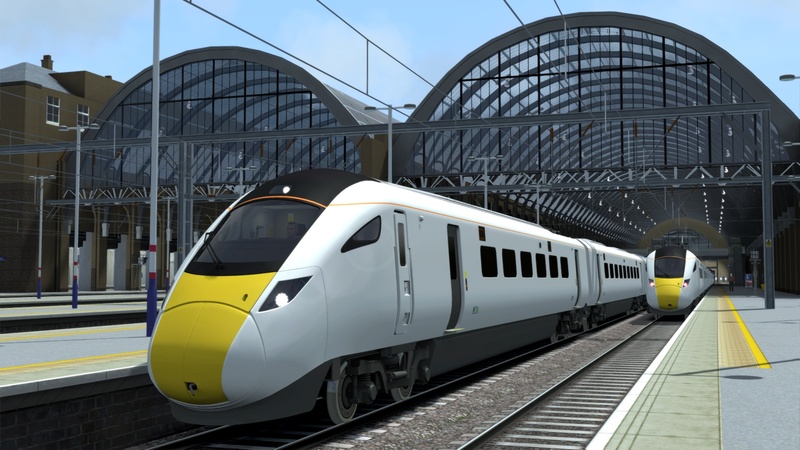 The big selling point for train enthusiasts is the revelation that Hitachi Rail have worked with Dovetail Games to ensure their upcoming Class 800/801 trains are included in the title. This new train won’t enter passenger service until 2018 on the Great Western and East Coast Main Lines here in the UK, so train fans should be in for a treat. The new game will, according to the press release “be compatible with an existing range of more than 100 add-on locomotives and routes” which sounds like anyone’s vast investment in Train Simulator 2014 won’t go to waste. For newcomers to the series, and those like me who have dipped their toes into the game but are still wary, there is something to welcome you to the franchise. TS Academy is the new mode which will hold your hand as you learn how to control different trains with the chance to earn driving licences and awards as you go. Adam Lucas, Producer at Dovetail Games shared the following comments about TS Academy. Welcome to the East Coast Main Line. Why is there no sound in Train Simulator 2015 ? It was fine in the 2014 version ? ?